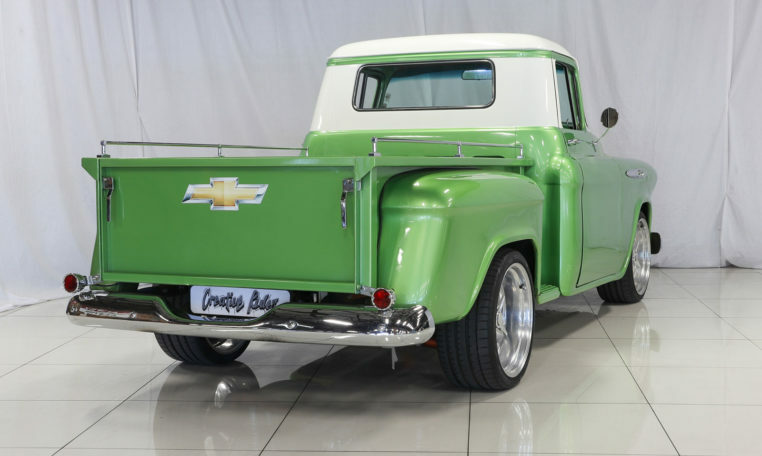 The Pickup craze has grown in leaps and bounds over the last couple of years seeing the demand for trucks at a high. 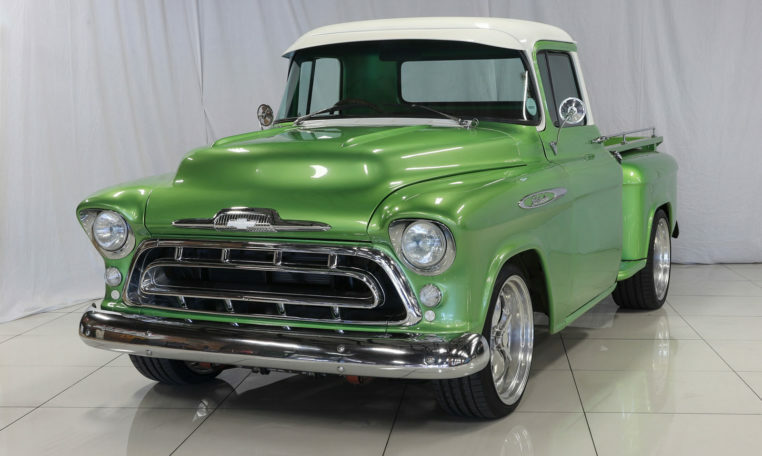 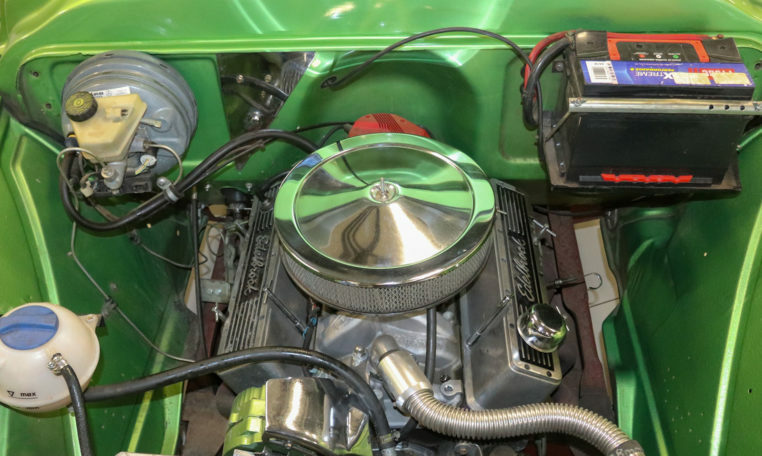 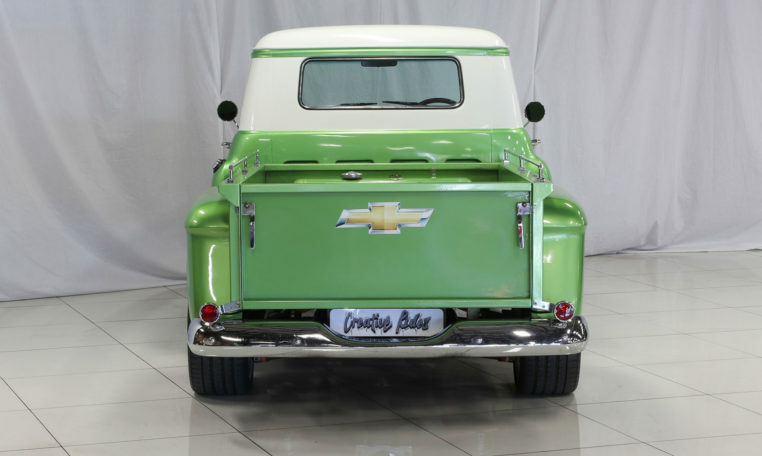 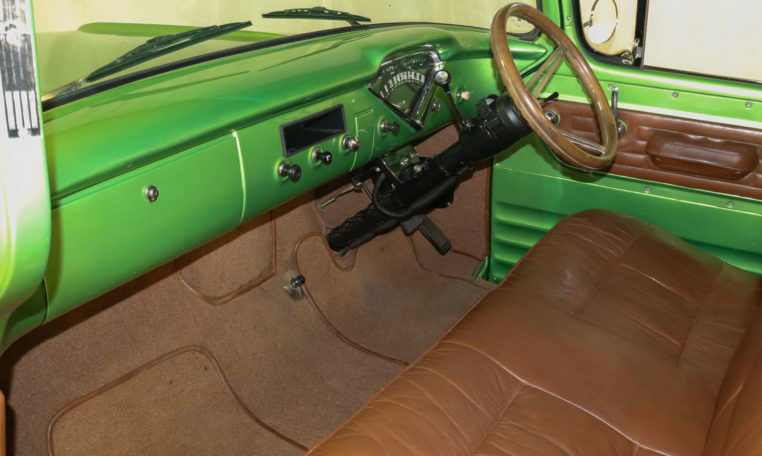 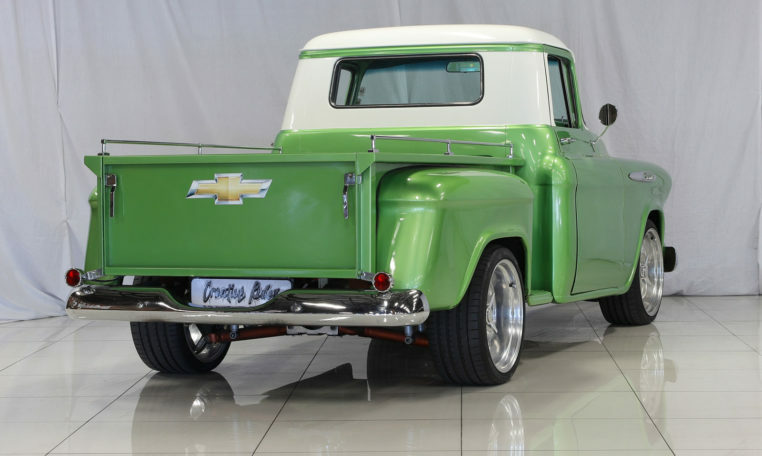 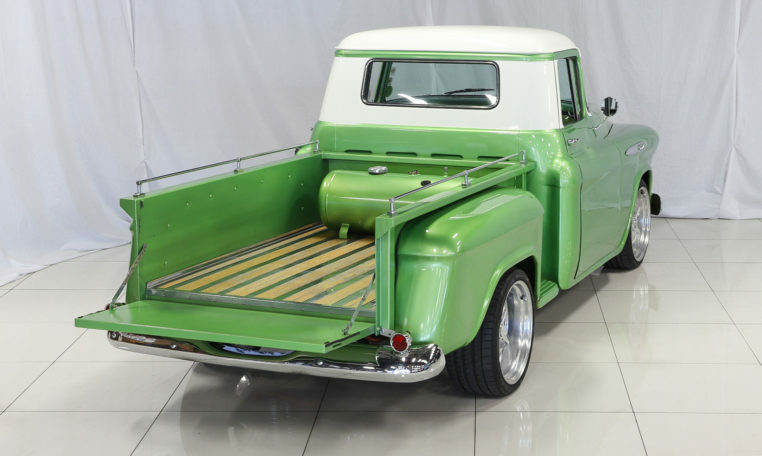 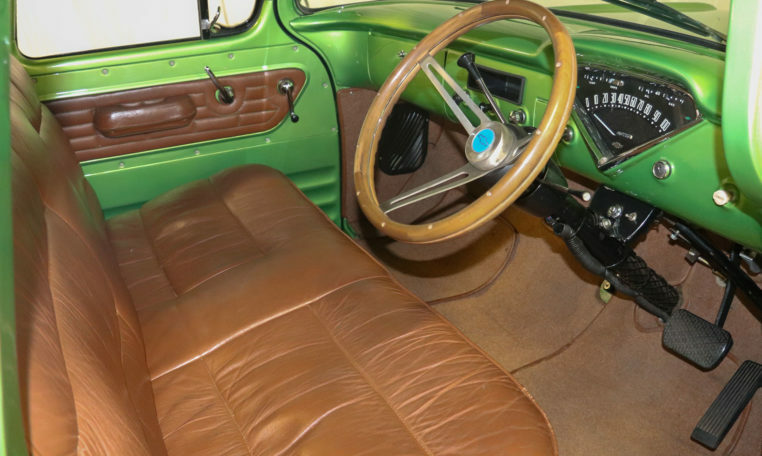 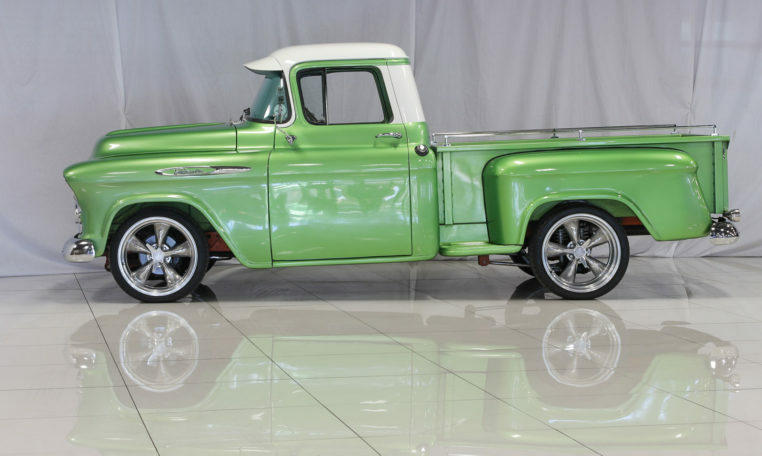 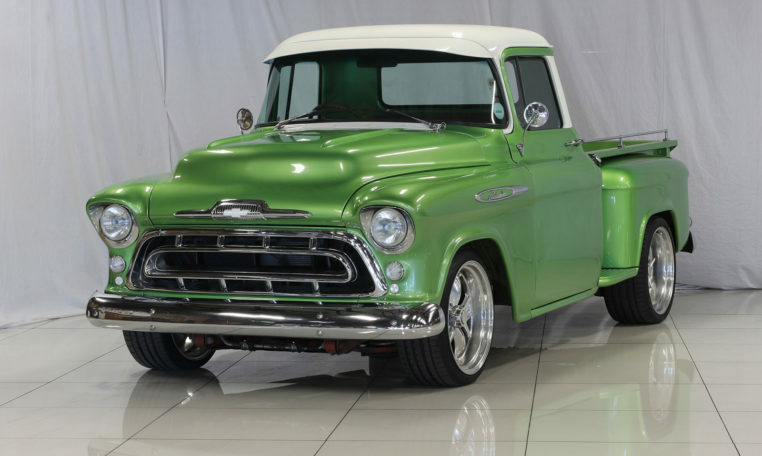 There are a handful of models however that have particular value one of them being the 1957 Chevrolet Pickup. 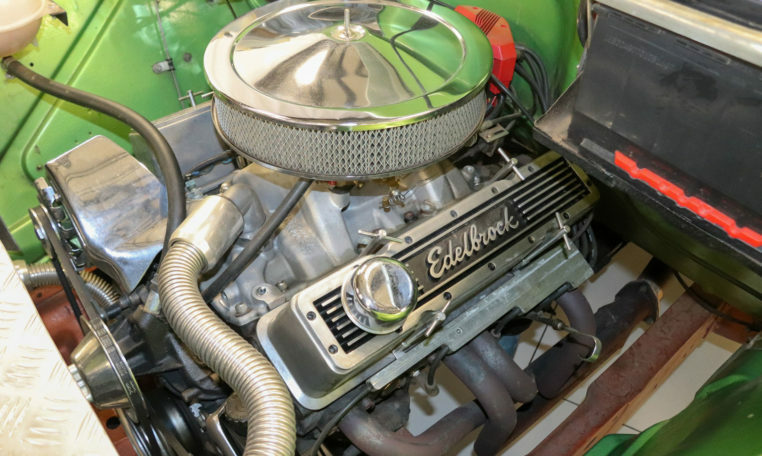 This example has Jag suspension and a silky-smooth gearbox giving her a great ride. 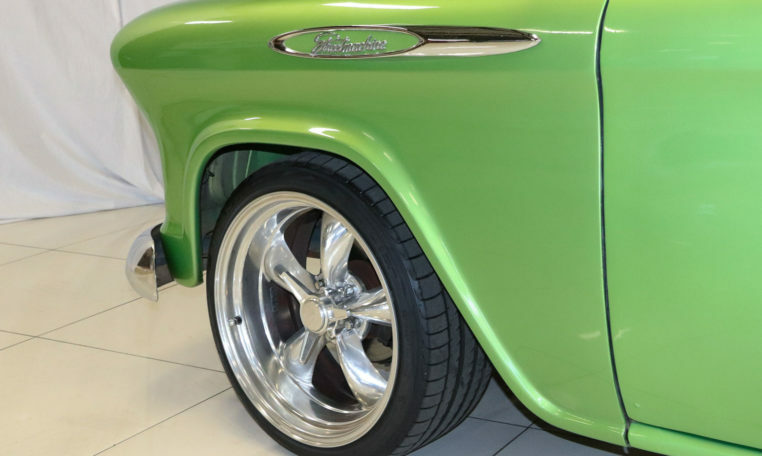 The paint is driver quality however there are spots on the lower sill and the door that do need to be attended to. 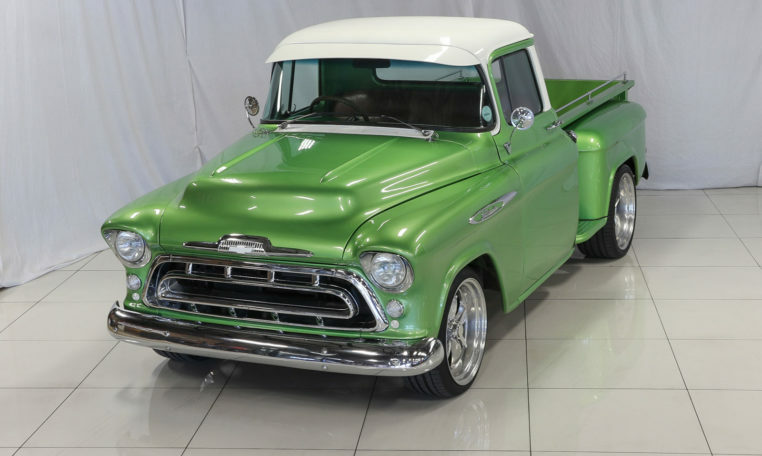 She is a great looking truck especially with its ‘peak’ on the front windscreen. 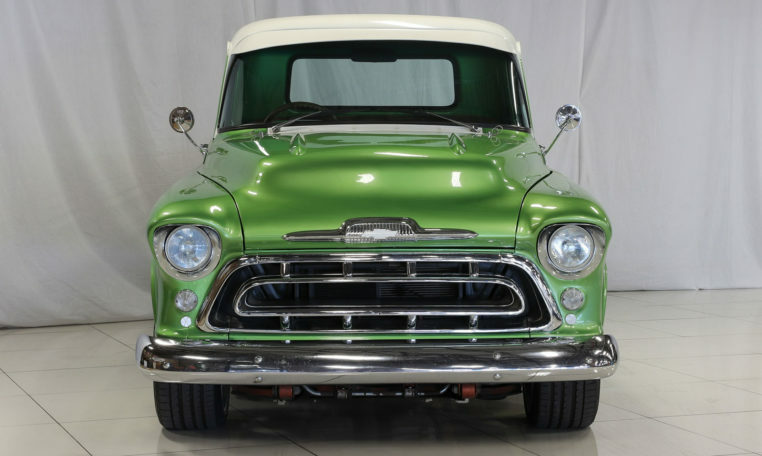 Come in and drive her and see if there is that special bond between man and machine.